“My mother says I’m still grieving over the loss of my father,” my new patient, a 42 year old father of one, an electrician lost in a loveless marriage of twelve years, told me. “He died six years ago.” Now, twenty years ago, back in my early days as a newly minted psychologist who was eager and anxious to help, I would have focused on the grief, the death of his father and used a contemporary “Empirically Supported Treatment (EST) to “treat” my new patient’s reported bereavement. I would be already honing in on a diagnosis, likely an adjustment disorder, chronic with depressed mood and trying to tease out just how “complicated” his grief was, reducing his emotional distress to a DSM code for billing purposes. I needed the insurance company to pay for his sessions. However, at the end of session six, having tidily summarized “our” progress (after all, who was it, exactly, who I was treating? ), I slipped. I made the mistake of questioning just what it was about his grief that upset his mother so much. Why it was that she felt he was still grieving over the loss of his father. In the ensuing six sessions (after I requested an extension from the insurance company), my patient began to explain his mother’s relationship with father (it was a horribly controlling and abusive relationship), his mother’s own history as a child of alcoholic parents and the tragic untimely death of her brother. I inquired about her relationship with this two younger sisters, both younger than my patient, who were very close emotionally to their mother, unlike my patient, whose “complicated grief” had led to his “estrangement” from his sisters and his mother after his father (a deeply troubled and psychologically impaired man) died. Over the next weekly sessions (my patient never missed) a larger discussion opened about how after his father’s death, his two younger sisters (each also torn apart by their abusive father) healed themselves by creating a new sisterly alliance and a renewed harmonious triadic family subsystem with their mother, just the three of them. (I was thinking back to my old family systems work in graduate school, revisiting psychodynamic theory and feminist thinking in addition to measuring “symptom relief”). It turns out that after his father died, he – being the only male and the oldest of the three children – took it the hardest. His mother and two sisters (his family, despite their myths, was never very close) formed an alliance in the wake of his father’s death. They all were freed from his tyranny, oppression and abuse. My patient, however, being the oldest, married and with a family of his own, had been “triangled out” by his mother and sisters. In their rejoicing after his father died, my patient was, inadvertently, left out. He had lost not only his father, but his whole family. By our sixteenth week, my patient realized it was not a complicated grief over his father’s death he was feeling, but a loss of his family of origin. Six years later, he called on me. My former patient was 48 and his wife had just filed for divorce having learned he had been having an affair. He told me that the affair had been going on for a couple of years and that he met a woman at a high school reunion who he once dated. She was divorced and had two daughters. He wondered whether he could come to see me to just “run a couple of things past me.” After, of course, I acknowledged I would enjoy reconnecting with him, I sat back in my office. I thought through my own life experience as a psychologist and a twenty year career. I was grateful I had never thrown out the “baby with the bath water.” I was not seduced by old wine in new bottles (psychotherapy is continually rediscovering itself). I watched as I grew into a greater trust and confidence in myself rediscovering the eclectic schools of theory and practice that made me not only who I was as a psychologist, but as a human being. I smiled, put a book back on the shelf and awaited my next session. 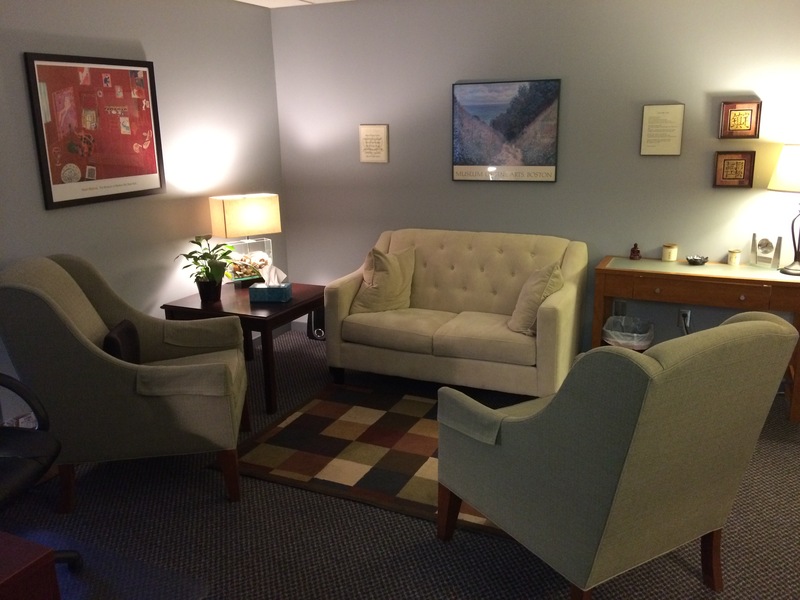 Dr. George Geysen is a clinical and forensic psychologist in private practice in Glastonbury, Connecticut. Learn more about his practice and his work at www.drgeysen.com.